High dwell times lead to better engagement with viewers. Improved engagement leads to sales or the fulfillment of the business objective for which you have display content. 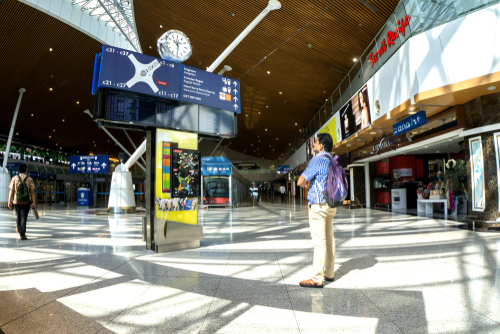 If you can improve dwell times, you improve your chances of achieving a higher ROI with DOOH. Dwell times are clearly a function of location and content. With the right location, you will get more eyeballs. With great content, the dwell time improves and with higher dwell times, you generate impressive engagement levels that will lead to the fulfillment of your marketing and sales objectives. Dwell times will vary with the business and its objective; for example, signage in a museum will surely attract higher dwell times because it aims to inform visitors about the displays. An interactive kiosk at a mall will also register high dwell times. Lobbies are a great place for digital signages because these locations serve as the first point of contact for visitors to a property. Here, you can serve directions, information, and answers to questions that can boost business for stores in the lobby of a mall and send visitors to restaurants in a hotel. With a little creative messaging, you can continue conversations even when visitors visit the washroom on the premises. Doctors now rely heavily on digital signage for informing patients about the tentative wait times. Digital signage in waiting rooms can provide useful information on healthful activities. You can provide information about the doctors and add content that will inform the waiting patients about the do’s and don’ts for healthy living. Information provided on digital signage enables visitors to question doctors and learn more about the specialized treatments offered. Banks can benefit from improving dwell times for information displayed with digital signage. In fact, banks have excellent reasons for displaying creative and informative content to the people waiting in queues. Queues at banks are long and tedious. Banks can display attention-grabbing information such as low interest rates on loans, high interest rates on deposits, fun financial information, and such things apart from information on the approximate waiting time. Digital signage can direct customers to the appropriate desks and save everybody’s time in a bank. Basically, any business or enterprise that has to deal with queues can effectively deploy digital signage to bring down wait times. The USP of digital signage is that it can be used in so many different spaces. Traditional OOH ads in elevators can be replaced by digital signage that can display succinct, pithy, entertaining, informational, and interactive messaging. You can improve dwell times with such messaging by providing user information about businesses on each floor, sales, and discounts taking place, and even maps to direct visitors to the right location. If you can entertain people through digital signage, you have a great chance of boosting dwell times. Information presented attractively will engage attention as compared to the same in information displayed in a drab manner. Dwell times are hugely influenced by the location of the digital signage. VODXS faucet- based ad systems in public washrooms report high dwell times because the location is such that the messaging has the viewer’s undivided attention. It is totally up to you to creatively display messaging that furthers your business interests. VODXS gives you the opportunity. Often, business can use digital signage to achieve different objectives and dwell time plays an important role. For example, a restaurant can display digital signage outside to announce combo servings, discounts, daily menus, etc. Inside, digital signage can be used to manage queues and also at self-service kiosks to improve the efficiency of the ordering process. You can upsell in the dining area by running attractively packaged content about daily or weekly special offerings at the restaurant. Longer dwell times and shorter wait times translate directly to more sales and a happy experience with your brand. 2. The Future of Blockchain Companies. 3. Blockchain Society: Trustless Blockchain does not scale; A technical summary..
4. Beyond 2020: How blockchain is reshaping our economic, environmental and social orders Pt I. 5. The Power Of Doing Only One Thing..